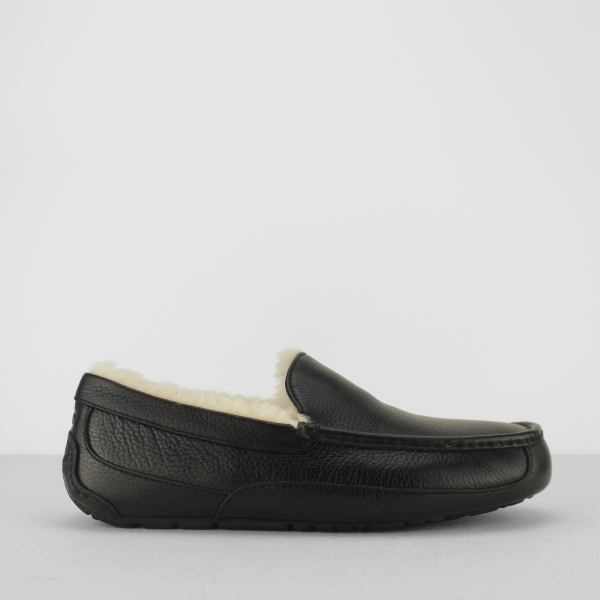 Slip into a world of comfort like you've never experienced before in these mens Ascot slippers by UGG. A classic moccasin style slippers provides a traditional and timeless kind of look whilst not compromising on comfort or luxury. From the second your feet slide in, they will instantly be surrounded with all the warmth and cosiness you could dream of as the UGGpure™ wool lining wraps around them. A high quality full grain leather upper allows your feet to breathe keeping them fresh and healthy. Perfect to slip into after a long, tiring day.